5. Screen informing passengers that flights are suspended due to "technical reasons"
"We have in the airport a security system which is activated by hares running past. Other risks could be hares being hit by aircraft or vehicles moving in the airport." "The captured hares will be transported to protected areas managed and controlled by the Milan province, where hunting is strictly forbidden." "The airlines informed passengers in advance so we avoided any inconvenience for passengers. The airlines re-planned their flights and operations restarted, as planned, on time." 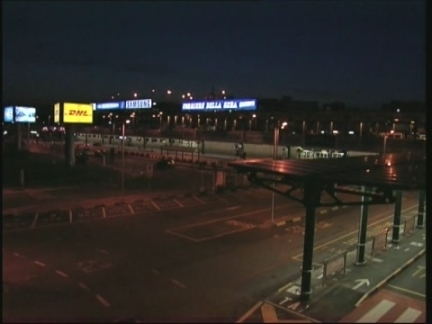 Milan's Linate airport was closed early Sunday while 200 hunters tried to outfox scores of hares infesting its runways. The operation was ordered after hares became tangled in aircraft landing gear twice in recent weeks. Officials say at least 80 hares are living on the airport grounds, confusing radar equipment and endangering flights taking off and landing. "We have in the airport a security system which is activated by hares running past. Other risks could be hares being hit by aircraft or vehicles moving in the airport," Director of Operations at Linate Airport, Captain Marco Alberti, told AP Television. At dawn 200 local officials, police and volunteers took to the tarmac, shouting, waving and clapping at the hares to get them to run into four kilometres of netting strung along the runways. Around 40 hares were captured and put into boxes for transfer to nature reserves in the Milan area "where hunting is strictly forbidden," said Alberto Grancini, an official from the local Department of Hunting and Fishing. Hare is a traditional dish in northern Italy. "The airlines informed passengers in advance so we avoided any inconvenience for passengers. The airlines re-planned their flights and operations restarted, as planned, on time," Alberti said. "My husband and I wanted to get home pet, we didn't want (to buy) dogs, we were afraid (of the dogs). I personally am afraid of dogs, and my parents had cats. And we looked for a long time for something like this, and remembered mini-pigs (Vietnamese Potbelly pigs) . We found out everything about them, found out where it is possible to get them, learnt about their habits and if is it difficult to keep them and only then decided." "Everybody thought that pigs can only grunt and they can't do anything else. It turned out there are plenty of noises, they squeak and almost talk. We even found out that she (mini-pig) can see dreams, she jumps up in the middle of the night, runs over (to us) and starts telling you something something with emotions, you take her back to her place, stroke her and tell her that everything is good, she sighs and goes to sleep." "Wonderful, I've got a small black dog (of my own), whose name is Yasik. He is also black, and also has a very cute nose. Wonderful. Simply happiness for the soul. I immediately remembered that famous American actor has the same one (mini-pig)"
"Young people, arty people, creative people (buy Vietnamese Potbelly pigs). People who are not afraid to go for a walk with pig instead of the dog, people who are not afraid that they will be asked what kind of a dog breed is it." "They don't need any additional caring, expensive meat, expensive cat food, expensive shampoos, (they don't need) haircuts and hair styles like dogs. So they are very easy to keep and unpretentious." "He likes it when I scratch him here. Just like men he likes kindness and attention, so he is fed tasty things." St. Petersburg is a Russian city which is often referred to as the 'Venice of the North' or the 'Paris of the East'. The city closely followed fashion during imperial times, and isn't behind it now, setting a new trend in animal fashion - that of pigs as pets. Inessa Denisova lives in the heart of Saint Petersburg and doesn't hesitate in taking her Vietnamese Potbelly pig Cleopatra for a walk down St. Petersburg streets. Many passers-by are surprised to see someone with a pet pig and stop to take a photograph of Cleopatra with their mobile phones. Pig pet owners say that they are easy pets and are friendly and easily trained. Inessa and her husband always wanted to have a pet but she is afraid of dogs and her parents have cats, so she and her husband decided to buy a Vietnamese Potbelly pig, which they found at Vyacheslav Komov's pig farm. Vyacheslav Komov has the only Vietnamese Potbelly pig farm, located in Vaskelovo village, 70 kilometres (43 miles) outside Saint-Petersburg. Komov started his business in August 2003, after he brought mini-pigs from the farm in Latvia. The price range for a pedigree pig with all the necessary paperwork at Komov's farm is between $500 and $1,000 US dollars. The piglets produced by the five female pigs at Komov's farm are bought even before they are born. At Komov's farm, the pigs run around everywhere and eat everything, including grass. Komov says that his main customers are fashionable young people who are not afraid of being spotted walking with a pig down the street instead of a dog. He says the pigs are a lot easier to keep than dogs. Lubov Talyzina is general director of "IMA-Stroi" construction company brings her two year old pig Kuzya to the office. Talyzina bought Kuzya at Komov's farm for $500 US dollars, but he is worth at least twice as much now, since he's been trained by an animal trainer. The fashion for pig pets is just starting, but they are likely to become ever more popular as 2007 is the Chinese year of pig. "I am very concerned that if he keeps suckling from the cow like this, when he grows up the villagers will call him a ''cow baby''. I tried to stop him from suckling the cow but he cries, and still he tries to do this. So usually he suckles from the cow once a day, in the morning or afternoon." A Cambodian man says his young grandson has lived partly on milk he suckles directly from a cow since the boy''s parents left their rural village in search of work. Um Oeung said he pulled the boy away at first but relented after his grandson protested. The boy has suckled the cow''s milk once or twice a day since then. Tha Sophat has lived with his grandparents in Siem Reap province in northwest Cambodia since his parents moved to Thailand in search of work. Um Oeung said the cow doesn''t mind the young boy suckling, but he''s worried that his grandson would be called a ''cow baby'' by other villagers. 6. Various of girl saying "Go, blue, go!" "We started this event hoping to the fish would play soccer, and everyone talks about it now." Q: Is it popular amongst the visitors? "Yes because soccer, right now is everyone's favourite topic. So this event has been pretty successful." With two weeks to go before FIFA World Cup 2006 kicks off in Germany, an aquarium in Japan organised a very unique football match using fish to represent national teams. In the 2006 World Cup, the Japanese National Team that is in group F will play against the defending champion and favourite Brazil, as well as Croatia and Australia. The Yokohama Hakkeijima Sea Paradise Aquarium in a Tokyo suburb came up with the idea of using the colour of individual species of fish to represent each national football team's uniform. Japan's national team uniform is blue, so a group of Palett Surgeonfish were used, and since Brazil's national team uniform is yellow a group of Yellow Tang were used. The football is made from shrimp, which seems to guarantee underwater kick around. 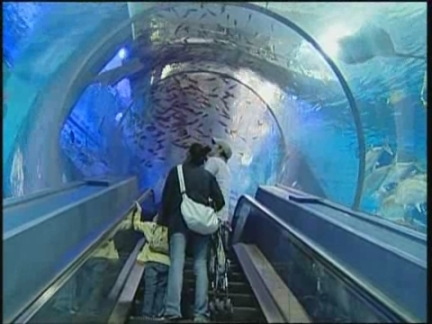 Daisuke Morita, who works at the aquarium said it has proved very popular with visitors. "It is everyone's favourite topic. So, this event has been pretty successful," he said. Curious boys and girls gathered around the fish tank to cheer on the Japanese team. "Go, blue, go!," said one young Japanese fan. The Aquarium football match is played twice a day. The real Japanese national football team will play against Australia first on June 12th then Croatia on June 18th followed by Brazil on June 22nd. Nearer to the start of FIFA World Cup 2006, the Blue-green Chromis representing Australia, and the red and white chequered Longnose Hawkish fish representing Croatia will both play the Palett Surgeonfish, representing Japan. "I'm happy the serpari (snake men) allowed me to show snakes in this square, because it is privilege that is earned only by people who capture them". "The snake used in Cocullo is 'elaphe quatuorlineata' which is called Cervone in Italian, it is a quite big snake, like two metres long but it is quite tame, it chosen for this characteristics because it is big but tame, it never bites"
"What does the saint do? Officially, he protects from the snake's bite, because the snake is poisonous. Poison in Latin is called 'pharmacum', which is also positive, because to any poison corresponds also a counter poison. Thus, the saint is capable to use his power to relieve people from many diseases". The village of Cocullo in central Italy is famed for its association with snakes. Dubbed the 'town of snake people', the origins of the annual festival which celebrates serpents has been traced back to Roman times, and the cult of the goddess Angizia, the protector against snake poison. But in more recent times, the cult of the snake has found a christian champion in a local saint. Around the year 1000, a friar from Foligno (Umbria), San Domenico (Saint Dominic), is said to have travelled around central Italy, founding several monasteries and settling for a period in the village of Cocullo. Saint Dominic was credited with miraculous cures for snake bites and toothaches. On his feast day, the first Thursday in May, the small central square in Cocullo is filled to capacity with as many as twenty thousand visitors. The normal population of the town is just over 300 inhabitants. The statue of Saint Dominic is taken from the church, and forms the centre of a procession through the village. The statue, covered with writhing live snakes, is an unusual sight and everyone crowds in for a better view. Local folklore indicates the origins of the "serparo" are most likely found in a common Medieval character, a sort of magician who knew the secrets for catching and handling snakes and also how to make people immune to their bite. Stefano Micarelli, a reptiles expert based in Rome, says the Cervone snake is the preferred type of snake for the "serapos", chosen because they have a reputation of never biting. The procession is preceded by young women dressed in traditional costumes carrying on their head huge "hats" made of round cakes. The statue is then carried along the hilly streets of Cocullo in a procession up to a second church, with fireworks ending the ancient ritual. The ritual is said to symbolise reconciliation between the human and the animal world. After the procession all the snakes are released back into their environment totally unharmed. Local superstition says that the manner in which the snakes move around the neck and the body of the statue, can indicate good fortune. For example it is believed to be a good omen if they curl around the statue's head.
" This method of animal communication is available to all of us. It works on the same level with every single living being on this planet,from a baboon to a domestic cat to a mouse to a bird even to insects. We can communicate with insects in this way - its all about energy, the physical difference does not matter at all its about energy and telepathic communication and trusting your intuition ".
" I really have a passion for baboons, I think the communication will really help us understand them "
" Well although I see them everyday or every week from my home or when I am walking about. There is a lot I don't know, that's why I wanted to speak to Jenny and Wynter ( animal talk teachers) to find out more about what their behaviour patterns are, how to age them, to identify them and get a better understanding of what they do in life and how they are feeling"
" I thought it was an amazing opportunity to be reminded how lucky we are to have these baboons so close to us ,but also to combine it with animal communication, it gets so busy in my world. It is a reminder to take some time to trust one's intuition and to be able to be with nature".
" We can communicate with animals to such an extent that we build a trust,a bond between animals and humans and the things that we can get animals to do voluntarily is so beautiful To such an extent that you can move animals from point A to point B without using force or aggresion or fear ,animals willingly move just by simply communicating with them ". 32. Wide shot Robynn Ingle-Moller with giraffe at Zoo. Humans have longed to be able to communicate with animals. Apart from domesticated cats and dogs who let their owners know their mood through a wag of tail, or a purr, the subtleties of animal communication has eluded us. But on the outskirts of Cape Town in South Africa animal lovers are attending workshops designed to teach them the language of baboons. The Chacma baboons of South Africa's Western Cape are a common sight. But their future hangs in the balance because their habitat is threatened by development. Some people think they are a pest and take matters into their own hands. Two animals have been killed in the south Peninsula in the past week. One from a gunshot wound and another was electrocuted when it climbed an electricity standard during a fight with another baboon. But many residents cherish their ape neighbours and are keen to learn more about them. Wynter Worsthorne, an expert on animal communication, claims to be able to teach humans how to communicate with animals. Worsthorne believes that ability to communicate with animals just requires a willingness to open your mind. She says that animals and humans think in pictures not words. Worsthorne maintains that animals can pick up on the pictures that humans visualised before their words have formed. In order to pick up the images that the animals are sending to us Worsthorne claims that we can learn to do this through intense focus, meditation and getting in touch with your higher self. Wynter's special connection with animals began when she was working with unwanted and abandoned cats and educating the public about feral cats. She says that animals need to have a purpose, and they need the humans to acknowledge that purpose, and be appreciated for their contribution to our lives. She says humans need to visualise positive images and see in your mind what you want to communicate to the animal. 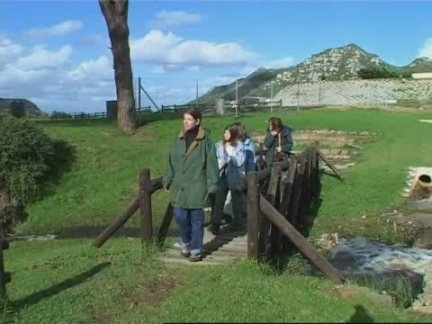 being taken on a walk to interact with the Chacma baboons. The animal lovers said they enjoyed the experience and learnt a lot about the apes that live in the mountains surrounding Cape Town. Ingle-Moller says that positive energy can persuade animals to do what humans want voluntarily. "� and because people had so many concerns, fears, questions and so many misconceptions about spiders then I decided to create an educational lesson to teach about spiders. This lesson is taken to different schools, universities, cultural centres and townships around the country to make people aware about these important creatures in the biological world, regarding the control of diseases, and medical and industrial applications." "I learned to respect spiders because they are such incredible animals that have important things to teach us." "Well, it was very interesting because my students are going to get more interested in living animals because after having a direct contact with them, they are going to propose projects and ways to do it. They are going to be a little bit more involved in all the activities they have experienced in the classroom." "We made an incision on Dario's skin, it was deep enough to guarantee that we were going to have a valid process when it comes to the healing." "There was no inflammation at least in comparision with regular stitches. Also, there is the advantage that there is no need to take out the stitches because they are organic, they integrate perfectly with the skin, in this case Dario's skin." "Of each 10 spiders we collect one of them is sent to a behavioral study to know what they eat, if they get stressed and what their habitat is because it is very important to be able to manage their habitat so we won't hurt them. People usually use spiders as pets and that shouldn't be done. We have to be careful with spiders because if they are not treated correctly then they get stressed, stop eating and die"
Arachnophobia or the fear of spiders is possibly one of the world's most common phobias. But now school children in Bogota are being taught that these eight legged creatures are friend not foe. A blood curdling scream echoes around the school hall as a large spider enters the mouth of a schoolgirl. The bizarre sight is part of an educational programme to show school children that spiders are harmless. Creepy crawlies can be good for you. At least that's the message Dario Lopez preaches to sometimes squeamish students in Colombian schools. He explains the concept behind the educational project. "� and because people had so many concerns, fears, questions and so many misconceptions about spiders then I decided to create an educational lesson to teach about spiders. This lesson is taken to different schools, universities, cultural centres and townships around the country to make people aware about these important creatures in the biological world, regarding the control of diseases, and medical and industrial applications"
The biologist brings his roving "Living Museum of Spiders" to schools around the country to explain the medicinal and environmental benefits of arachnids and to let some of them crawl around on the pupils. David Steven Correa, a 13 year-old student who let a spider into his mouth, says it was a positive experience. "I learned to respect spiders because they are such incredible animals that have important things to teach us,"
Fees collected from private schools also help finance his nonprofit institution dedicated to studying and cataloguing the country's spiders and scorpions. Luz Stella Castellanos, a biology teacher, says that she hopes the project will inspire her students' interest in the natural world. "Well, it was very interesting because my students are going to get more interested in living animals because after having a direct contact with them, they are going to propose projects and ways to it. They are going to be a little bit more involved in all the activities they have experienced in the classroom"
Now Lopez is collaborating with medical researchers to explore the potential applications of spider silk in medicine. Luis Benjamin, a doctor and biologist from San Carlos hospital working with Lopez explains the experiment. "We made an incision on Dario's skin, it was deep enough to guarantee that we were going to have a valid process when it comes to the healing,"
Benjamin says that spider silk appears not to provoke an immune-system reaction from the body. "There was no inflammation at least in comparision with regular stitches. Also, there is the advantage that there is no need to take out the stitches because they are organic they integrate perfectly to the skin in this case Dario's skin"
Research in the United States in 1989 showed that spider silk contracts when moist, which could keep stitches snug during the healing process. Lopez's spider museum keeps more that 300 species of spiders, most of them alive, collected along 28 years over at last eight zones of Colombia. Ana de los Angeles Biracacha, Lopez's assistant, says that it is important to study arachnids (spiders) to learn how best to protect them. "Of each 10 spiders we collect one of them is being sent to behavioral study to know what they eat, if they get stressed and what their habitat is because it is very important to be able to manage their habitat so we won't hurt them. People usually use spiders as pets and that shouldn't be done. WSE have to be careful with spiders because if they are not treated correctly then they get stressed, stop eating and die"
Colombia is known to have 700 species of spiders, according to Lopez. "It was interesting as it's the first time to make food for my pet. I want to make it again at home." "At home, people seldom give human food (to pets) while giving only feed stuff (Pet Food). Sometimes I give them just some snacks. I think this well-being food will be good for puppies." For centuries South Korea has viewed dogs as working animals and livestock. It is still traditional in Korean society to eat dogs rather than keep them as pets. But society is slowly changing and dogs are becoming part of the family, not the family meal. Recently a dog-food company held a cooking class for pet owners to teach them the importance of providing well balanced healthy food for growing puppies. 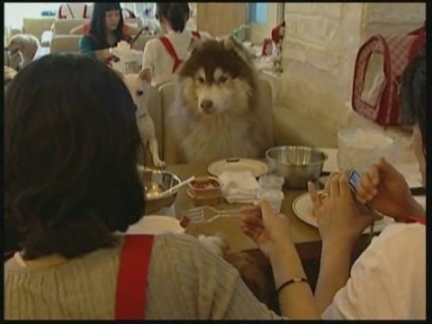 Dogs of all shapes and sizes looked on patiently on as their owners lovingly prepared meals especially for them at a pet food cooking class in Seoul. The aim was to teach pet owners how to vary their pets' diets and the importance of healthy eating and low fat meals. Twenty pet owners participated in the event and prepared gourmet meals for 'man's best friends'. They were shown two recipes, dog salad and dog cake. The recipes were all highly palatable, nutritious and designed to provide the dogs with a natural source of energy. Using the dog's favourite ingredients owners combined regular dog food with sweet potatoes and tomatoes. The nutrition advisors said that chocolate, chicken bones, and spices are all bad ingredients for dogs. As dinner was prepared the canine guests patiently waited for their food to be served. One of participants Lee Soo-yeon said the event was useful and this was the first time she had prepared food for her dog. Another dog owner Kang Tae-yeon said that although she sometimes fed her pet snacks, it would be better to prepare nutritious food for them. According to Euromonitor International market intelligence pet animal-related business in South Korea has grown into a gigantic industry. In 2004 it was estimated pet food and pet care products market was valued at Won 449 billion. This market continues to steadily rise. (i) to check the terms of their licence agreements for use of content outside news programming and that further advice and assistance can be obtained from the AP Television News Library on: Tel +44 (0) 20 7482 7482 Email: info@aptnlibrary.com. 11. Television screen showing score changing from 7 to 8 "dangerous kisses"
"Every time I was confronting with a king cobra, I tried to think of a way to kiss it. Some of them rose very high. I needed to be careful of the lower part of my body because that's where they attack. Every time I heard the bell rang, I was happy that another one was kissed." A Thai snake charmer kissed 19 highly poisonous king cobras in an attempt to set a world record on Saturday. One by one, the cobras were released onto a stage set up in the Thai beach resort town of Pattaya, as the snake charmer, Khum Chaibuddee, kissed each beast and then moved onto the next. 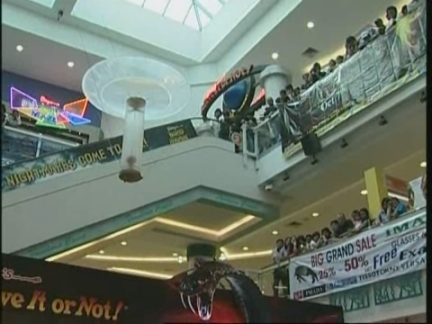 Security was tight, with four additional snake charmers flanking the stage at each corner and a medical team waiting on the sidelines with serum in case one of the snakes snapped, said a statement from Thailand's Ripley's Believe It or Not Museum in Pattaya, which organised the event. The museum's manager said Ripley's planned to submit the record attempt to the Guinness Book of World Records to overtake a previous record set in 1999 when an American kissed 11 venomous snakes. Khum, a part-time snake charmer for more than 12 years, urged children and onlookers not to try the feat on their own, saying he had been bitten in the past. "I think considering this was her first time on the catwalk she did brilliantly"
"Well they say that here in the UK we are a nation of dog lovers. And so we don't have any problem at all selling the tickets. As you can see already people from all walks of life .. old, young... male and female. Some dog owners others just dog lovers"
"This is a Sphynx cat. It was discovered in Canada in the sixties. They are considered hairless. They're supposed to give the appearance of of hairlessness but they feel like a warm peach. They have a little bit of fuzz. Very few whiskers, very few eyebrows. It's all hair. And their toes are even shaped a little differently." In fashionable cities like London and New York, dogs and cats are more than just companions.... very often they are fashion accessories. Canines and felines on both sides of the Atlantic were thrust into the limelight this week to showcase their talents..... in a doggy fashion show and a cat breeders show. The dogs were bound to be nervous as they took to the London catwalk for the first time. But some of the doggy models at a recent canine fashion show were uncertain of exactly what was expected of them. Their job was simply to demonstrate the very latest in doggy fashion before an audience of wealthy pet lovers at Harrods department store. Appropriately called Pet-a-Porter after the French for ready to wear fashion collections (Pret- a-Porter), the show features canines of all breeds and sizes. 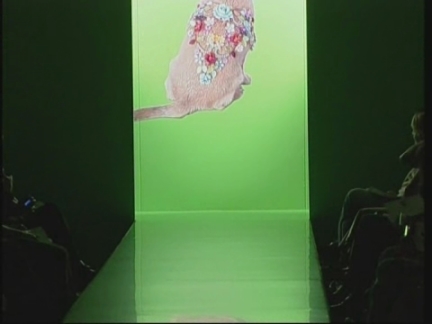 Each dog wore an individual outfit fashioned by designers such as Vivienne Westwood, Ben de Lisi and Basso and Brooke. The dalmatian looked embarrassed, the British bulldog bemused.... only the Afghan hound looked truly at home on the catwalk, swishing its mane of blonde fur. A small white terrier named Phoebe was a little hesitant as she stepped into the bright lights. But her owner Penny Kemp thought her pet did brilliantly for her catwalk debut. Peter Willasey, Harrods Spokesman says the United Kingdom's reputation as a nation of dog lovers means demand for the tickets is very high. As daywear gave way to evening wear, the outfits became even more decadent. However by this stage 'Phoebe' needed a little help getting down the catwalk in her sparkling jewels. However animal societies like the "The Royal Society for the Prevention of Cruelty to Animals" (RSPCA) warn that dogs are not accessories. They advise dog owners not be influenced by latest fashion trends. Harrods say the money raised by the fashion show will be donated to a charity that looks after greyhounds once their racing days are over, as many are badly treated or even killed. But the cats were not to be outdone in the style stakes. In New York a selection felines will represent their species at the 100th anniversary Cat Fanciers Association cat show this weekend. Some hairless... some hairy .... more than 300 cats from 41 breeds will be on hand with their human beings to compete for the coveted "best in Show" title. Teri Thorsteinson, from Virginia, says that her strange-looking cat she said feels like a "peach." Terri says the Sphynx breed are not technically hairless as they have a little fuzz that covers their bodies. Other cat owners had much chubbier and hairier companions whom they played with, petted and groomed, all in anticipation for the big show. The show will also feature the Feline Agility Competition where cats navigate obstacles and jumps.